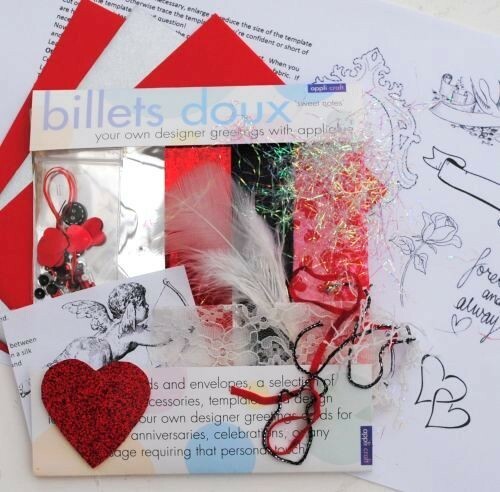 Here are a couple of ideas for our customers who have one of our billet doux card packs! As you know each of us has our own style, but a few inspirations and ideas on how to use product always helps. You have the opportunity to create something that's completely different using the same papers, accessories and textures. The comprehensive templates and instructions included in the pack below will help you on your way. 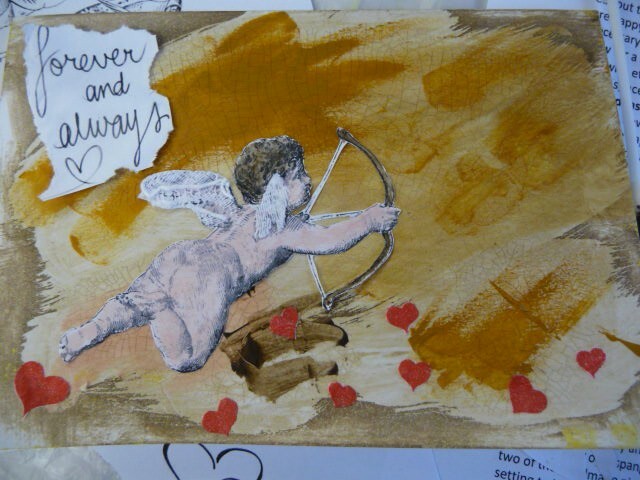 Only the the cherubs and hearts with bits of paper and lace have been used in the two cards below. A myriad of other choices can be made from the same pack. 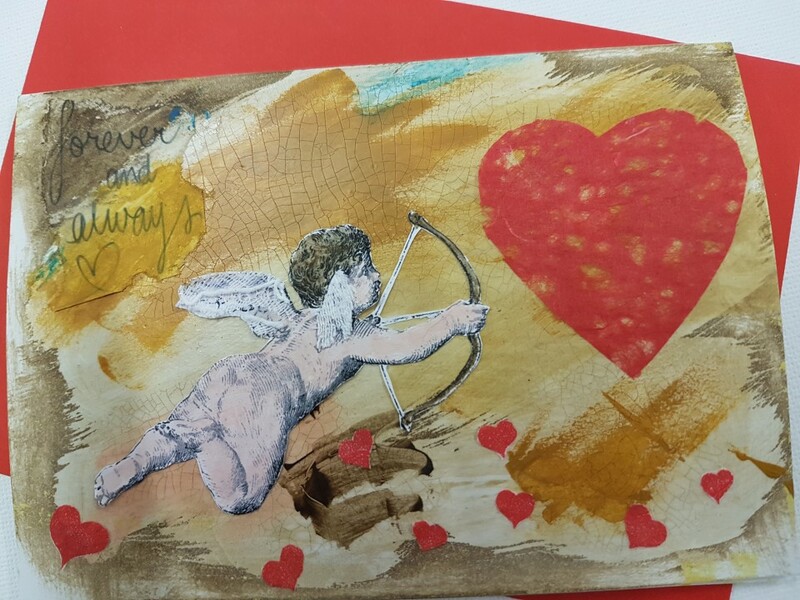 This harks back to another age and demonstrates how craquelure can be used successfully on card to create an aged effect. 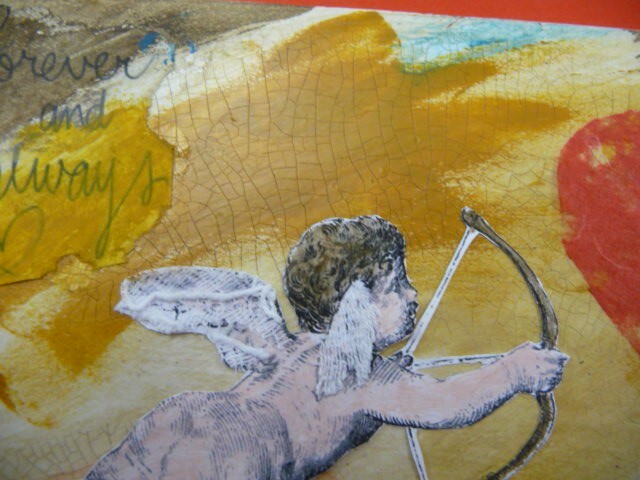 This card was one of those cut out and paste moments, using the same cherub but different papers,hearts and one of the other love messages. 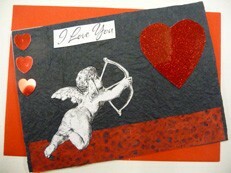 Choose a paper for the heart and using the template cut out the heart. Select your message. In this case using a paint brush a line of water was painted on to the paper and then was torn to allow for a more casual rough edging. 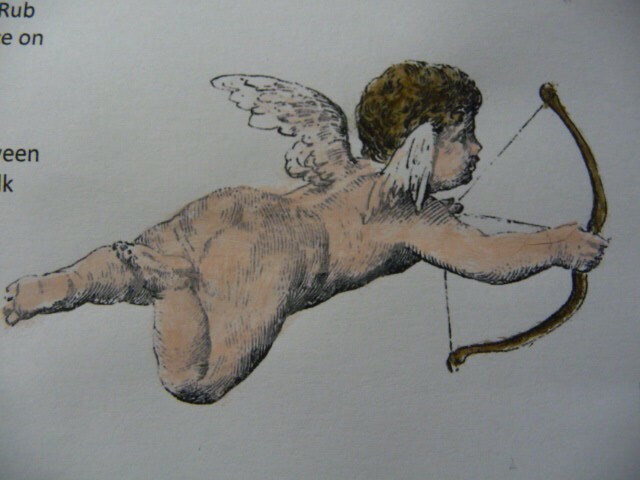 A water based acrylic paint was selected to colour in the cherub. 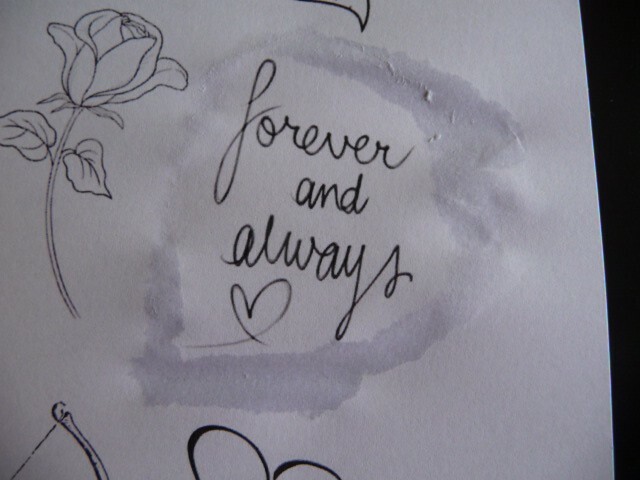 Just put a wash over the entire piece and the original lines will help to create the shadows. 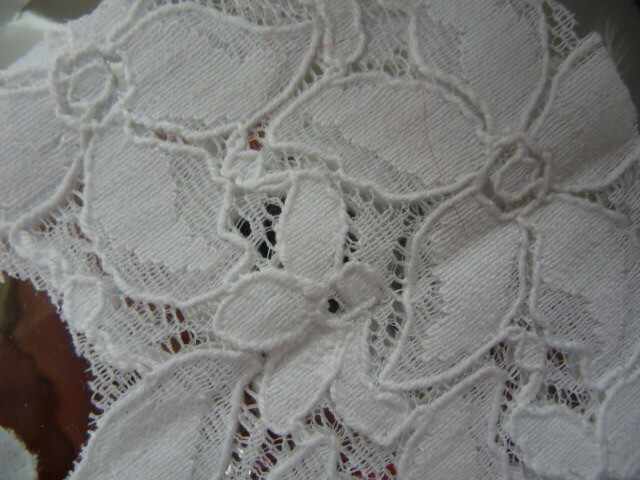 The lace was used for the wings. In this case our stand by, Appliglue was used. Not much is necessary, and remember to only put glue on the thicker, darker design otherwise it will seep through the lace. Using a thumb, the background was painted with acrylics. Then it was partially craquelured with Small Crack. 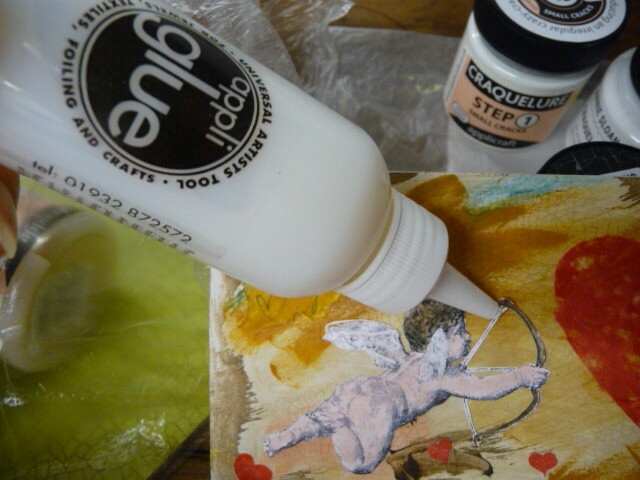 Place things in position, and when happy start glueing. 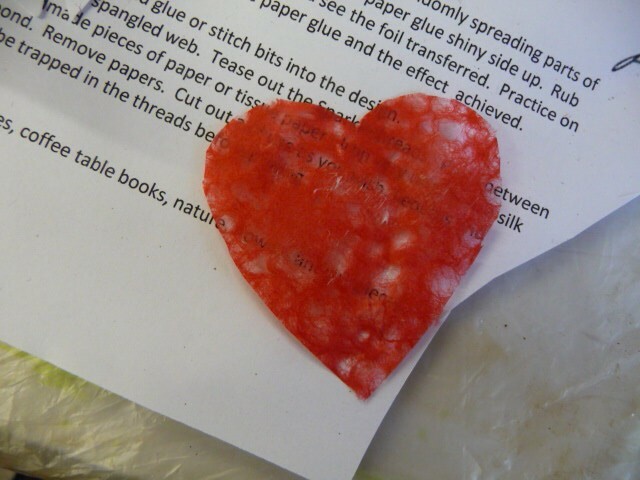 Paper glue is fine. The slim line of the bow was glued with Appliglue, just because it is easier. Here the discreet craquelure effect is more evident.. An oil based raw umber was used to fill the cracks.